The AAUW Tar Heel branch was approved at the AAUW NC fall board meeting and has applied for its charter. It is already linking members from across the state, connecting members-at-large to the state activities, and connecting members in communities without a branch to each other. When Doris Bernlohr, president of the new branch, moved from near Chapel Hill to Burlington in Alamance County she knew she wanted AAUW friends and she wanted AAUW as a force in the community — but she didn’t want the overhead involved in forming a community-based branch. There are now six members from the county in the new branch. If they recruit many more and spin off as yet another branch, great! If not, they are now connected to each other and can be part of the AAUW community breaking through barriers at events like the Alamance County Women’s Agenda Assembly last month. The 25 charter members represent nine of North Carolina’s 100 counties and three other states. 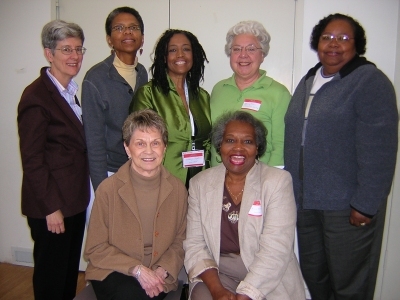 There are two men, former members of two disbanded branches, seven at-large members choosing to connect to AAUW NC, four former members who had let their membership lapse, and nine members of other AAUW NC branches who are interested in helping this new model get started. For more information, see http://tarheel.aauwnc.org for the online membership signup form, contact info@bwob.aauwnc.org or call Doris Bernlohr at 336-586-7001.